It’s time to get out of the city and into the wildly dramatic landscapes that Iceland is famous for. You’ve got a lengthy drive ahead of you today, the longest of the trip, that will take you down to the SOUTH COAST and into EAST ICELAND. Make an early start, as there’s plenty to do along the way. Pick up Route 1, the Ring Road, outside the capital and follow your nose south. Within a few kilometres of leaving Reykjavík’s suburbs, you’ll be driving through open expanses of moss-covered lava fields. The first stop, after 100km, is LAVA (open from 9am; 2400 ISK, family 5940 ISK), a brilliant introduction to the earthquakes and sporadic volcanic eruptions that help shape Iceland. It’s very hands on, and the interactive exhibits even include the chance, if that’s the right word, for children to experience a virtual earthquake. Around 20km from LAVA, you’ll come to Seljlandsfoss, the first of two magnificent waterfalls along this route, quite different to each other and so both worth visiting – save this one, though, for the return journey on Day 5. Beyond here, the Ring Road meets the ocean as it starts to trace the EYJAFJALLAJÖKULL ice cap; there are several spots from where you can make out its icy fingers creeping over the edge of the plateau. You’ll soon come to SKÓGAFOSS, where the falls thunder 60m or so into the riverbed below, sending up a squall of spray that buffets anyone daring to get close enough. 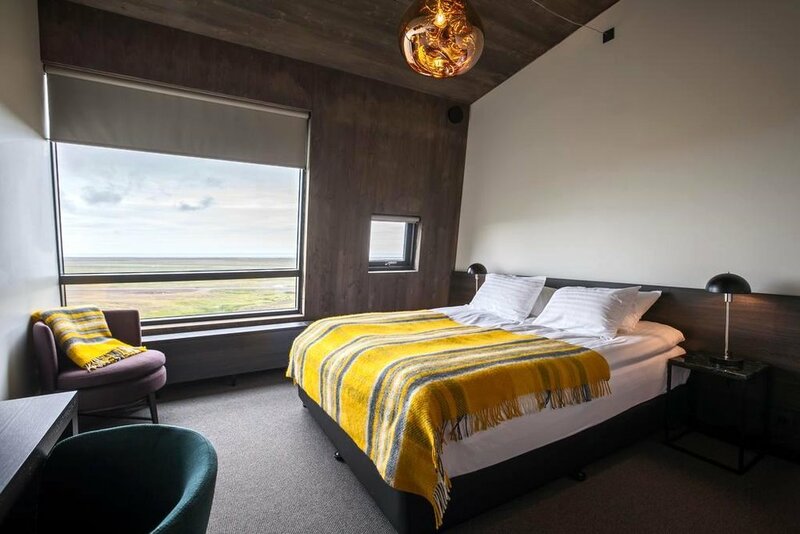 After Skógafoss, settle in for the 200km ride to your hotel near HOF. The road bridges riverbeds carrying glacial meltwater down to the sea and crosses a vast silty gravel plain, and the feeling that Mother Nature is most definitely in charge out here only heightens as you skirt around the base of the monstrous VATNAJÖKULL ice cap, the largest in Europe.